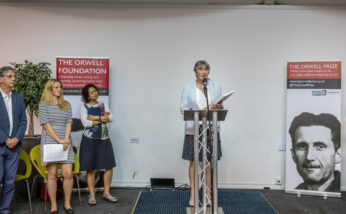 The Orwell Prize reveals the winners of its much sought-after prizes for books, journalism and The Orwell Prize for Exposing Britain’s Social Evils, sponsored and supported by the Joseph Rowntree Foundation. The winners of each £3,000 prize will be announced at an event on 25th June (George Orwell’s 115th birthday) at the RSA. You can also watch the panel debate, live, online via the RSA YoutTube channel. For the first time in its history, The Orwell Prize Ceremony 2018 will feature a panel debate – ‘Why does it take a catastrophe?’ – interrogating why the reporting which might have helped prevent the fire at Grenfell Tower was not more widely picked up, and what we can do to make sure such crucial stories are heard in the future. Each year, The Orwell Prize awards prizes for the writing and journalism which comes closest to George Orwell’s ambition ‘to make political writing into an art’. Prizes are awarded in three categories: for books, for journalism (commentary and reportage) and The Orwell Prize for Exposing Britain’s Social Evils, which rewards innovative reporting on social issues in the UK. Read more about this year’s shortlists.